Picking up the guitar in 2011, Ziggy is pushing the boundaries and expectations of self-funded independent artists and continues to share his music around the world to his dedicated grassroots following. He sings heartfelt stories of personal endeavours and experiences, ocean-side upbringing, environmental issues and life on the road. 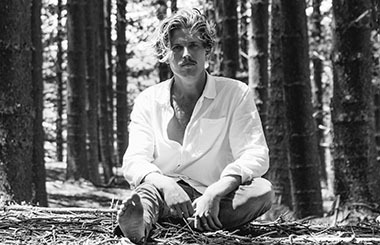 At only 24 years old Ziggy Alberts has released four records, co-founded his own label Commonfolk Records, played sold out tours across the world, and his music has effortlessly amassed over 95 million streams, globally. Laps Around The Sun – upcoming album – will be Ziggy’s 5th record, following Feels Like Home (2012), Made of Water (2013), Land & Sea (2014) and Four Feet in the Forest EP (2016). Indie & Alternative Dance Party | Drinks Promos | 11pm til 3am or check out the bands playing The Midnight Hour in the upstairs venue – Free Entry via front door until 10:30pm.